In 2018, a veteran initiative called ‘By the Left’ is broadening the public’s perception of what a veteran looks like. This is in response to many veterans, predominantly younger and/or female veterans being challenged about their medals. In most circumstances, veterans are being mistakenly questioned about whose medals they are wearing. However, some are being aggressively challenged and abused for apparently wearing someone else’s medals on the left side. This has resulted in hundreds of veterans, particularly those who have been consistently questioned for many years, feeling isolated from the veteran community as their experiences mean that they no longer march or wear their medals. ‘By the Left’ coordinator Ms Kellie Dadds is asking the public to view veterans as young, old, male, female, serving and ex-serving. ‘If asked what a veteran looks like, most will describe an older white male marching proudly with medals swinging. This results in many veterans who do not fit that identity being questioned about their medals’. By the Left seeks to broaden the identity of a veteran particularly given the recently announced changed in the veteran definition from ‘returned service’ to current and ex-serving members of the ADF. The inclusion of those who provided home service has been important to many. There is a generation of veterans who served between Vietnam and East Timor who did not have the opportunity to deploy, however their service is no less valued than those who did serve overseas. By the Left is not about medals, it is about the identity of a veteran. But the initiative’s apparent focus on medals is because the public often only identifies a veteran when they wear their medals. The culminating event for the ‘By the Left’ initiative is encouraging female veterans in particular, to march in normal Anzac Day marches in 2018. 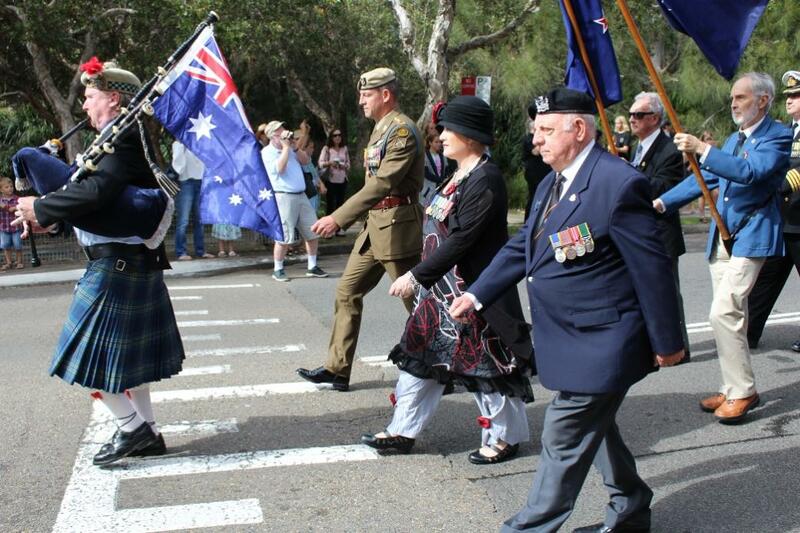 Marching on Anzac Day is symbolic for many veterans as it is a gathering of those who have served marching towards the cenotaph to honour those who did not return home. ‘By the Left’ is also encouraging all veterans to march with a group who they feel best identifies their service. ‘Indications so far are that hundreds of women will be marching, many for the first time, with the usual ex-service women organisations who have marched together for over 40 years. We anticipate that Brisbane, Canberra, Melbourne and Sydney will have the largest gatherings’. Ms Dadds said. AS A ONE TIME INITIATIVE, all current and ex-serving women are invited to march as one in 2018. 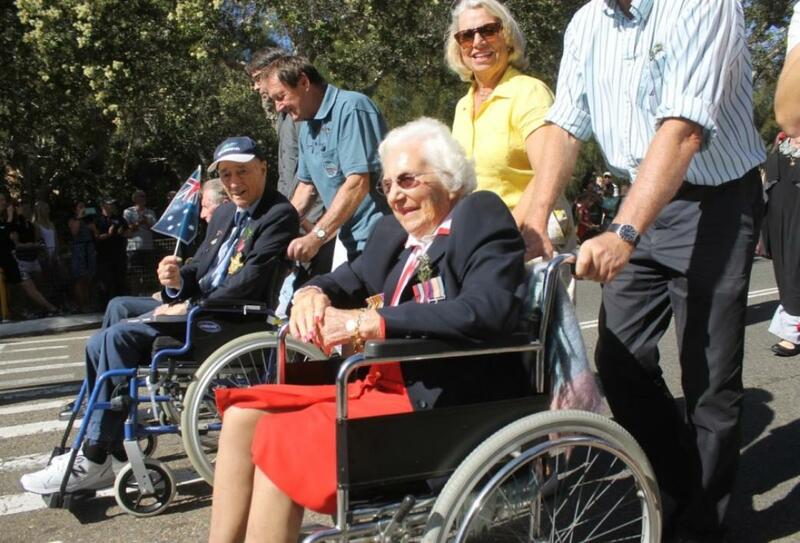 All ex-service organisations including WRANS, WRAAC, WRAAF, AWAS, Ex Service Womens, WVNA, APPVA, RAANC etc are invited to participate and proudly parade their banners in one rank at the front of the combined female veteran group. Let's proudly march to highlight the number of women who have and continue to serve. Email: tamara.harding@bigpond.com - Photo source ADF. If wearing your own medals, they should be placed on the left-hand side of your chest over your heart. If wearing someone else’s medals they should be positioned on the right-hand side. Those who wear medals on the left, over their heart, therefore, have served in our defence forces, whatever their gender, age or race.